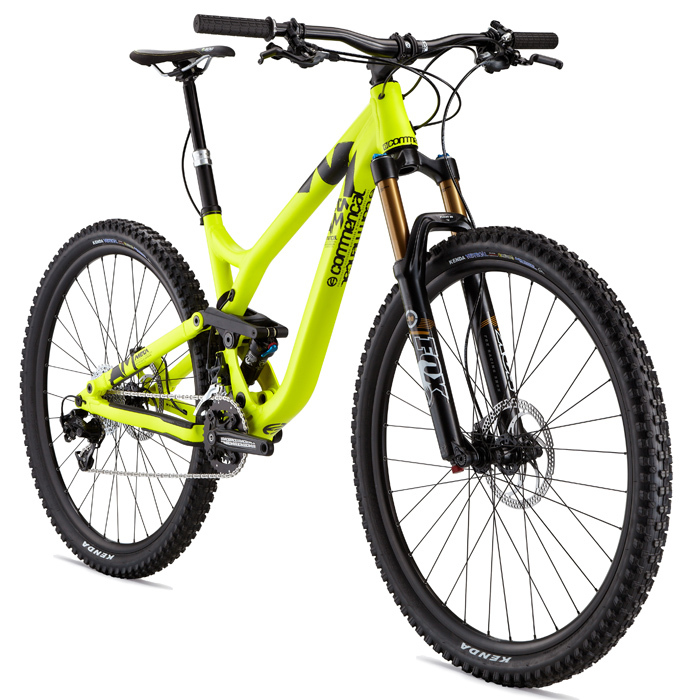 As well as a solid entry level Full suspension bike (the El Camino S) Commencal offer a comprehensive range of top end full suspension platforms. Starting with the Meta SL offering a frame with 120mm travel in 4 different build specifications. The Meta AM is their ‘All Mountain’ frame offering 150mm of travel in 3 different builds and a female specific offering. The ‘AM’ platform also comes in a 29er option offering 130mm of travel in two different builds. Their highly acclaimed Meta SX offers a massive 160mm of travel in two different build options. 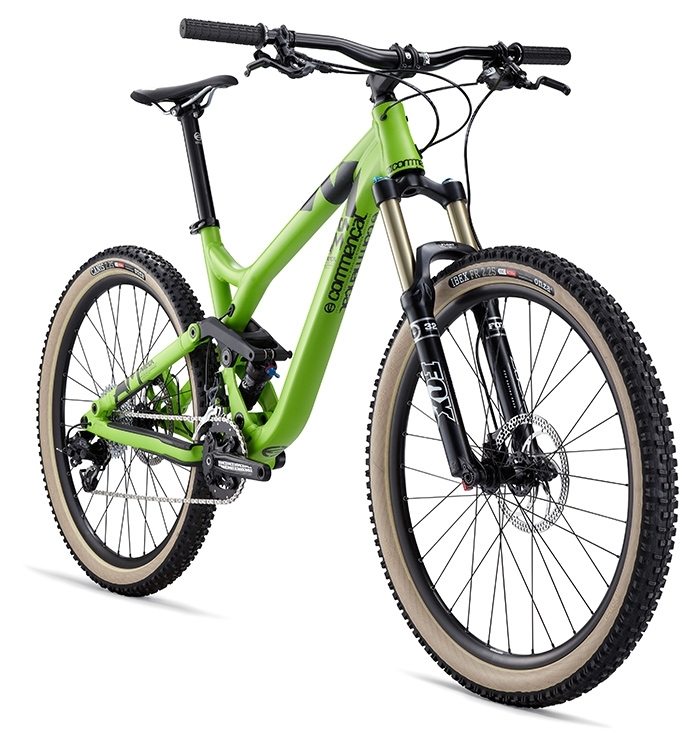 Fantastic entry level 120mm full suspension package. Are you looking for a bike with performance, dynamism and fun all rolled into one? Rock Shox Recon Silver Solo Air fork, 120mm. Sram X7 2×10 speeds transmission. Onza Skinwall tires, Ibex 26×2,25 front, Canis 26×2,25 rear. What could be more exhilarating than to feel your ride interacting efficiently with your every input, happily transforming your energy spent on pounding the pedals? A ball of energy, fun and efficient, that is how to describe the temperament of the Meta SL3. 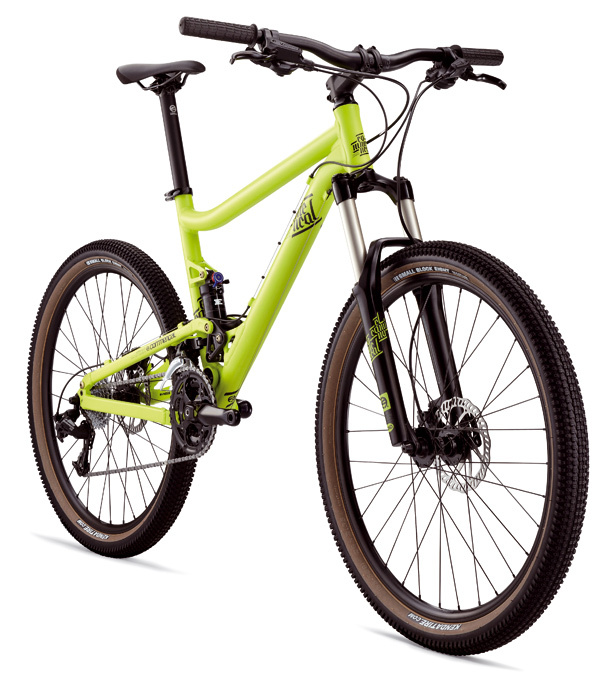 A true all mountain bike for moderate terrain, it goes everywhere with ease. Whether it be long climbs, short accelerations or full-on throttle down a technical descent, this bike amazes in its operation. Cool Grey Matt finish colour. Fox 32 Float CTD fork, Open cartridge, QR15, 120mm. The character of a bike can only truly be described after a field test. With 120mm of travel, some would categorize it quickly in the “XC marathon” segment. 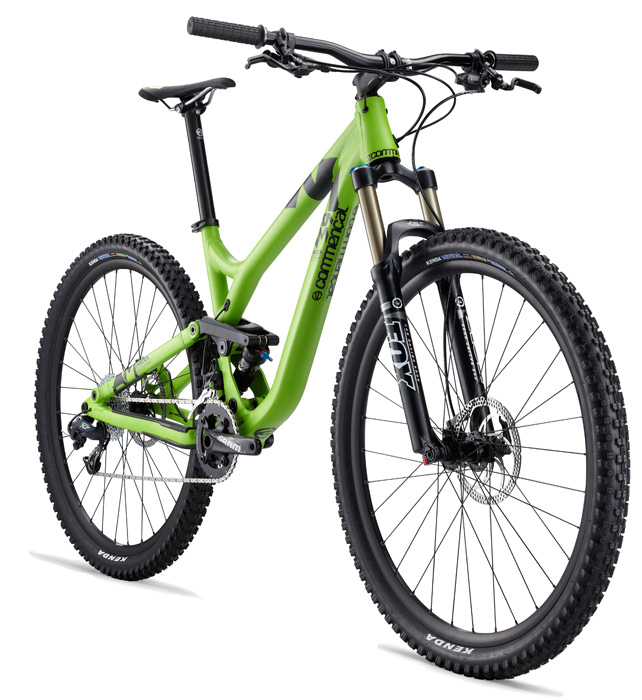 The Meta SL2 is much more than that, rigid, fun, efficient, stable downhill, its versatility is its reason for being. 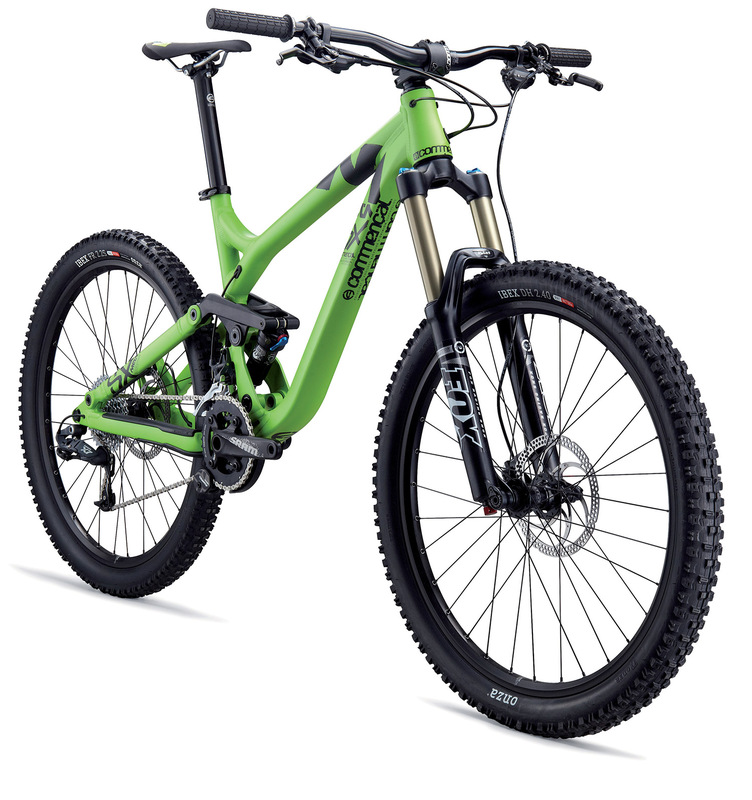 At ease in all circumstances, it is an All Mountain bike by definition, a matte green paint job further distinguishing it from it’s riding companions. 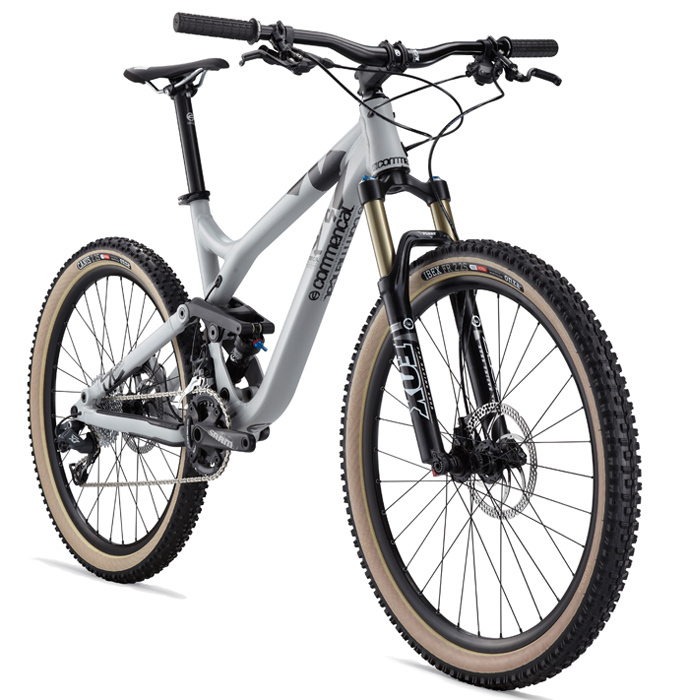 Equipped with a Float CTD Fit fork and Boost Valve shock from Fox, it uses a SRAM X9 transmission, Race Face Ride cranks and Onza Skinwall tires, components used to enhance the Meta SL2’s already well established style! Fox Float CTD shock, Boost valve. Fox 32 Float CTD Fit fork, QR15, 120mm. 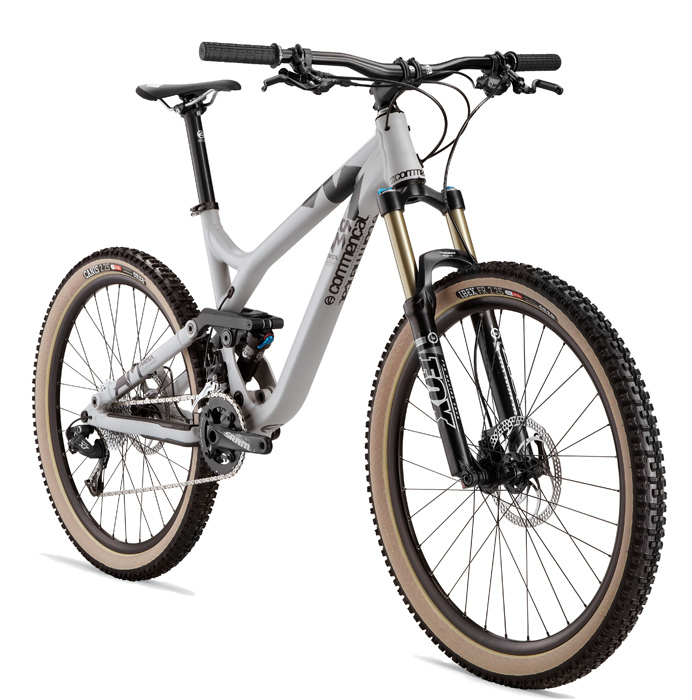 Sram X9 2×10 speeds transmission. Race Face Ride 38/24 cranks. Fox Float CTD Adjust shock, Boost Valve, Kashima coating. Fox 32 Float CTD Adjust fork, QR15, Tapered,120mm, Kashima coating. Sram X10 2×10 speeds transmission. Race Face Turbine 38/24 cranks. Onza blackwall tires, Ibex 26×2,25 front, Canis 26×2,25 rear. 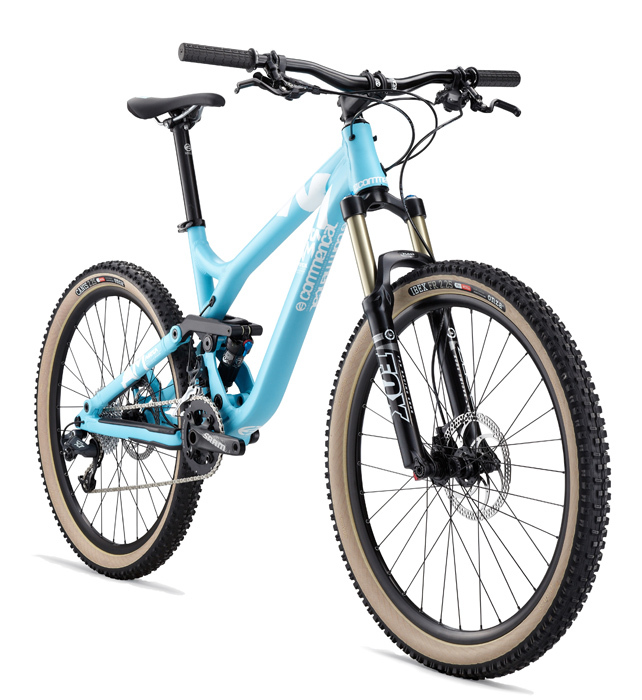 The perfect All Mountain bike designed for women. As effective as a “normal” Meta AM, this one has geometry specifically tailored to women’s sizing (shorter top tube, lower seat tube height), and should delight the ladies out there. Fox 32 Float CTD fork, Open cartdridge, 150mm. Formula RX 12 disc brakes. An All Mountain bike must be comfortable in any situation when you take it out on its terrain of choice, the mountains. This terrain is, by definition, demanding. Steep. Treacherous. Of course that’s where the riding fun starts, clearing obstacles, playing with the terrain, right? 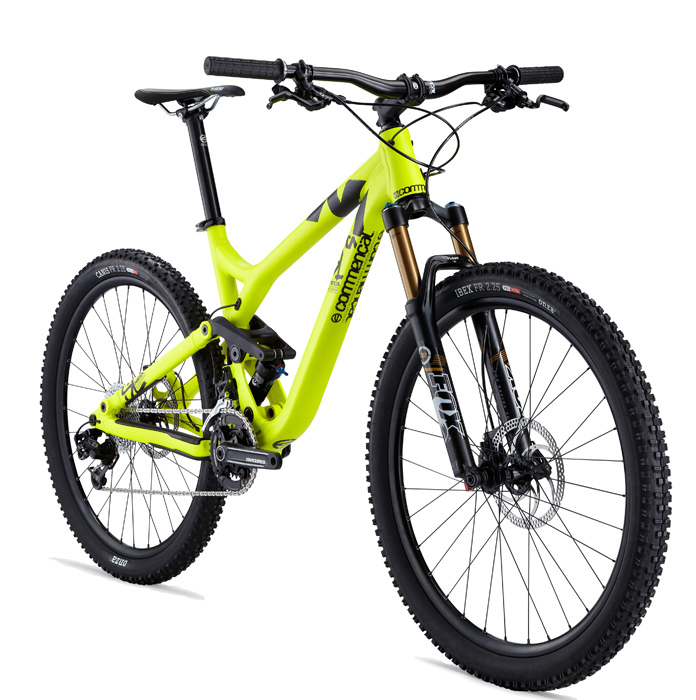 The Meta AM3 is designed for this, with a riding position letting you easily climb the summits that are the gateways to enjoying epic descents. 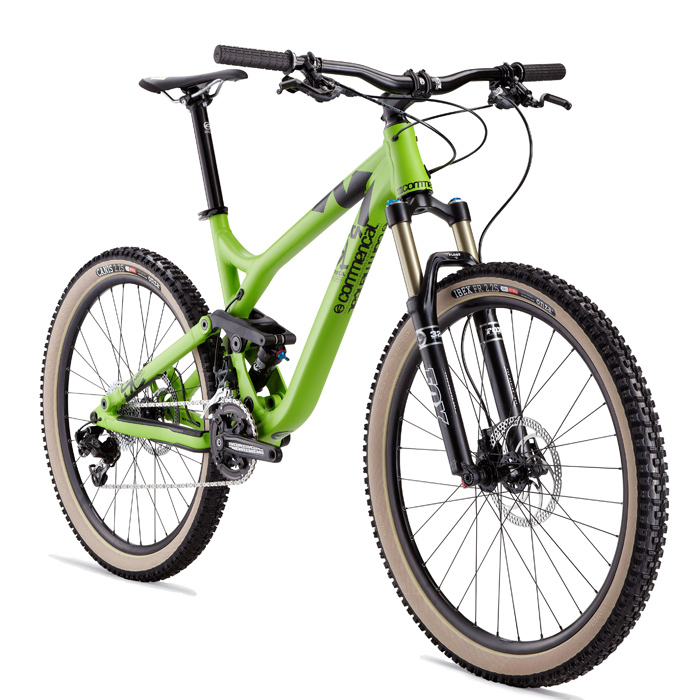 A well thought out component choice, such as a Fox 32 Float CTD fork, SRAM X7 transmission and Formula RX brakes, means this bike will meet all your requirements in terms of quality, performance and reliability. Its sober grey paint job and heavily worked graphics, enhanced by Onza skinwall tires, means a visual treat for one and all. Ready to take part in an enduro-style race or a go for a good ride out with your buddies, the Meta AM2 is at home anywhere. 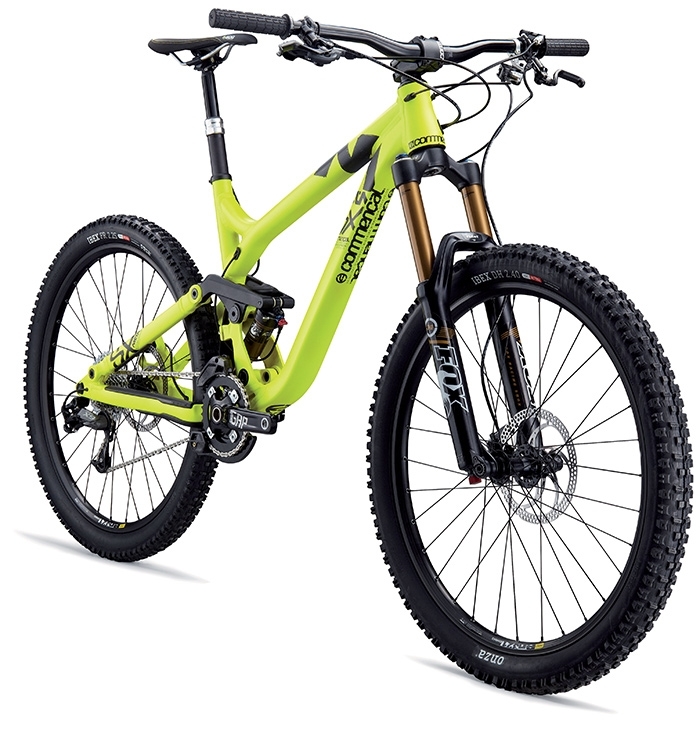 An absolute missile downhill, rigid and efficient on the uphills, it can do it all. Whether you need to clear a big step, arrive at full tilt into a flat turn or climb for an hour, you will appreciate its versatility and temperament. Fox 32 Float CTD Fit fork, QR15, 150mm. Race Face Ride 36/24 cranks. Onza skinwall tires, Ibex 26×2,25 front, Canis 26×2,25. Fox 32 Float CTD Adjust fork, QR15, Tapered, Kashima coating, 150mm. Sram X0 2×10 speeds transmission. Onza blackwall tires, Kevlar bead, Ibex 26×2,25 front, Canis 26×2,25 rear. Riding the Meta AM2 29er is a special experience, a moment of pleasure that gives you the impression that all obstacles can be tackled with ease and confidence. Meta AM 29” 130mm frame. Fox 32 Float CTD fork, Open Cartridge, QR15, 130mm. Kenda tires, Nevegal 29×2,2 front, Small Block 8 29×2,1 rear. Fox 34 Float CTD Adjust Fit fork, QR15, Tapered, Kashima coating, 130mm. Destined for high mountain use, the Meta SX2 likes big altitude. 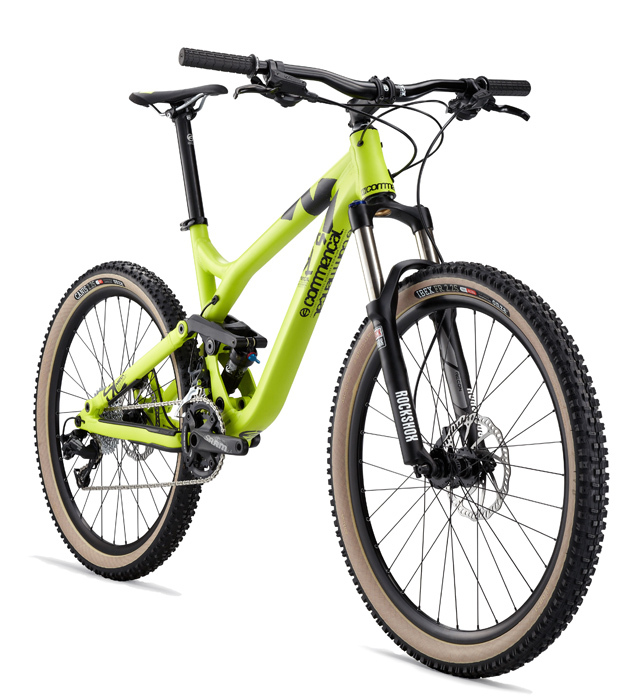 With 160mm of travel front and rear, 180mm diameter disc brakes and a double ring chainguide, it has been designed for long descents and demanding terrain. 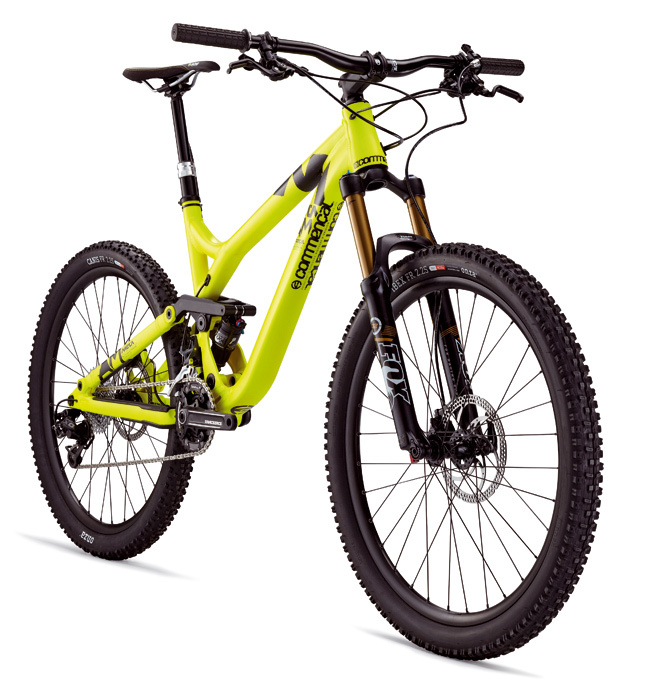 This bike is ideal for Enduro competitions with exceptional descending abilities, but is certainly not lacking on the uphills. Its riding position is ideal for long climbs as much as quick accelerations. Fox’s CTD -equipped suspension (climb-trail-descend) provide real versatility in any situation. Push this bike to its limits, it’ll love you for it! Fox 34 Float CTD O/C fork. Sram X7 2×10 speeds transmission + Chain device. Onza skinwall tires, Ibex DH 26×2,4 front, Ibex FR 26×2,25 rear. WhatMTB’s “Flat-Out Fun” Bike of the Year! Fox Float CTD shock, Boost valve w/remote, Kashima coating. Fox 34 CTD Fit fork, Tapered, QR15, w/remote, Kashima coating, 160mm. Sram X9 10 speeds transmission. FSA GAP Mega Exo 36th cranks. Onza tires, Ibex DH 26×2,4 front, Ibex FR 26×2,25 rear.